All rooms are equipped with a twin bed, a bathroom with a shower (or a shower-bath), a toilet, air conditioning, heating, a safe, and free WiFi. 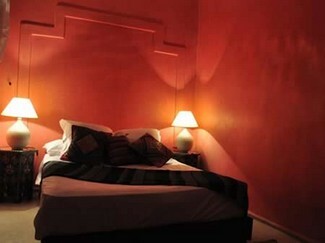 There is one room with three single beds (Isli). The big luxurious room (Tislite) has available space for more beds (if needed). 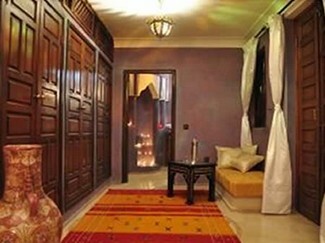 Families can combine two adjacent rooms. 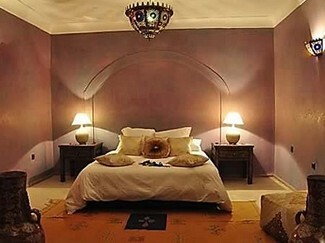 A baby crib can naturally be placed in any of these rooms. 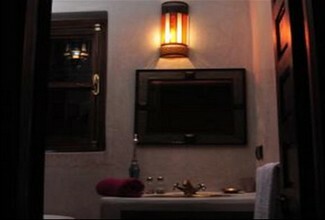 Each room is unique with its own color and style; but no matter which room you choose you will always feel as though you are in a fairytale. 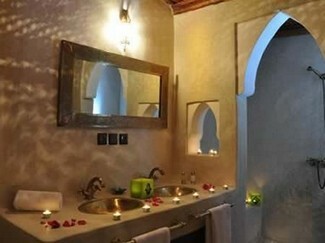 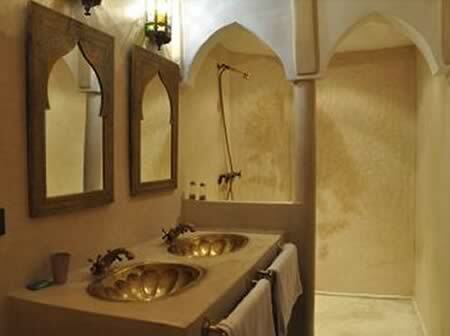 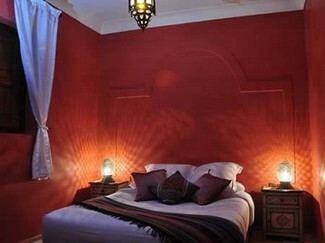 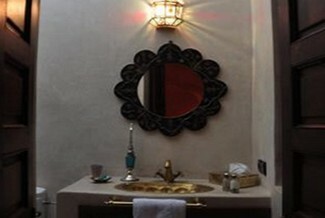 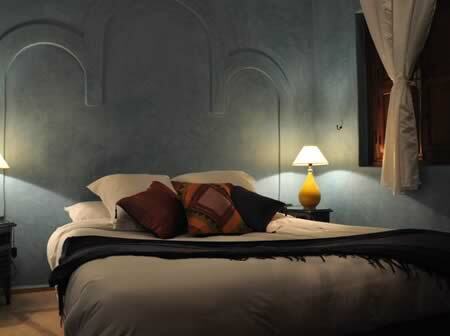 The largest room in Riad Imilchil, closest to the roof terrace, has a twin bed, air conditioning, heating, a couch, and a plentiful closet space. 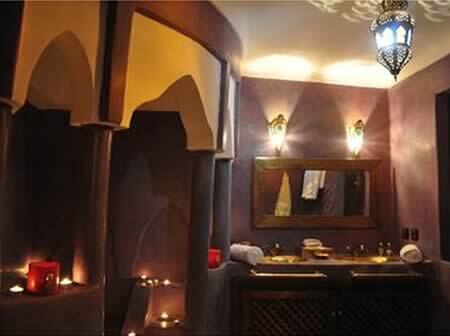 The room is equipped with a shower-bath, toilet, sink, hair-dryer, a safe, and free WiFi. Suite Tislite is large enough to accompany two more single-beds. 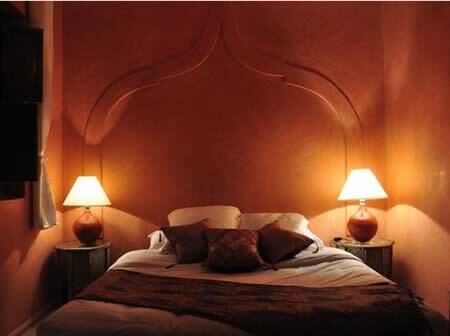 Price in the high season (including breakfast): € 130 per night per room with an occupation of 2 persons. 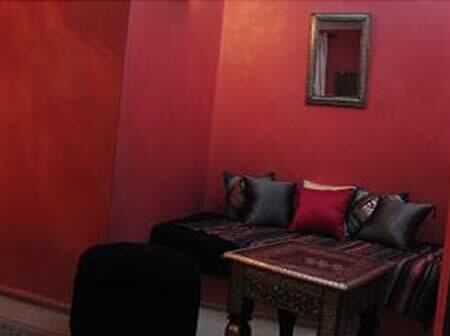 The second largest room in the Riad is also on the floor below the roof terrace. 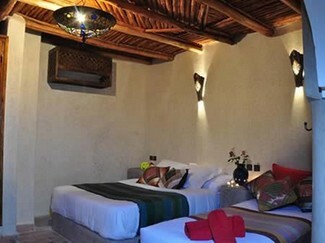 It neighbors the Tislite Suite and can be combined with the Suite for families of whom want separate rooms for the children and parents. Room Isli is equipped with 3 single beds, air conditioning, heating, a shower, toilet, a sink, a hair-dryer, a safe, and free WiFi. This two person room is equipped with airc onditoning, heating, toilet, shower, sink, a safe, and free WiFi. 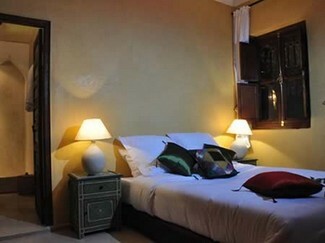 This two person room is equipped with air conditoning, heating, toilet, shower, sink, a safe, and free WiFi.